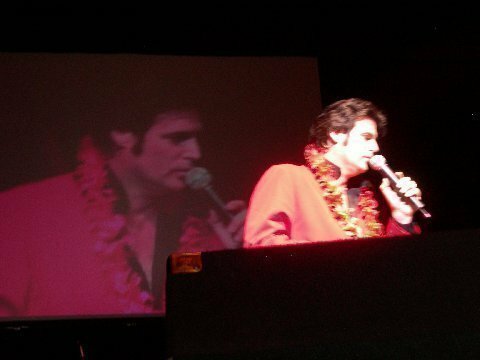 Elvis made entertainment and television history with his "Aloha from Hawaii - via Satellite" concert special. Performed at the Honolulu International Center Arena on January 14, 1973, it was beamed live via Globecam Satellite to Australia, Japan and other countries and was viewed live on a delayed basis in over 30 European countries. It was a worldwide ratings smash and the soundtrack album went to #1 on the Billboard chart. The first American airing was on April 4, 1973, and was seen by more people than man's first walk on the moon. In all, it was initially seen in over 40 countries worldwide by 1 to 1.5 billion people.